Here's a Holiday postcard I created for the Disney fan site, D23. They put together a clever advent calendar on their site (D23.com) where over 20 Disney artists got to create their own holiday tribute to their Disney character or characters of choice. 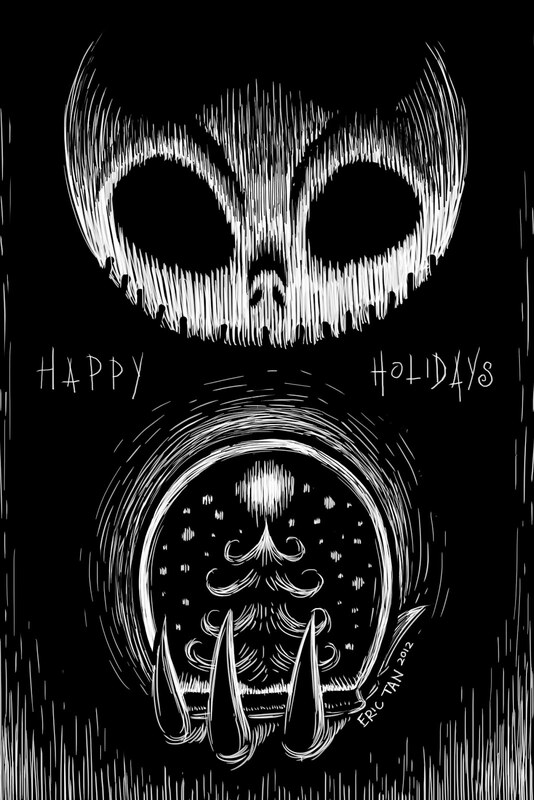 I love Tim Burton's Nightmare Before Christmas and have watched it over and over since it was released in theaters so I chose Jack Skellington for my piece. For the style, I was inspired by the 'scratchy' etched style that Burton would use in his illustrations. It's so very unique to him and for me, it's the only way Jack looks like himself in illustration form. I hope you like the piece and have a wonderful holiday season. Cheers! Recently, I was fortunate enough to help out on a collaboration between Disney and Barney's on their Electric Holiday campaign. My contribution included creating the travel poster that appears at the beginning of an animated short, playing in the windows of Barney's New York store during the holiday season. 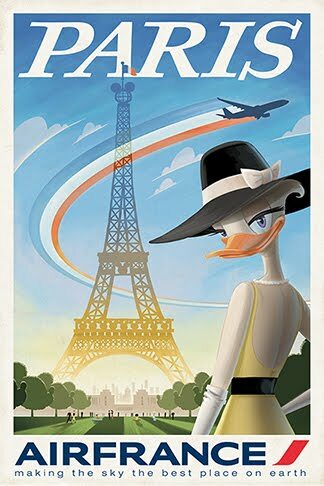 Being a HUGE fan of travel posters, I had a blast combining the vintage travel aesthetic with a 'fashion-y' version of Daisy Duck. The result ended up being this poster, which you can get in postcard form at Barney's stores. As an added bonus, Air France was also involved in the campaign and I got to add their logo onto the poster, giving that official touch. This project was definitely a fun one which combined a couple of things I really love doing. Hopefully I get to do more of them in the future!